Omega3 uses 100% Pure Sea-Harvested Pelagic Fish Oil as our natural source of Omega3 Essential Fatty Acids (EFAs). 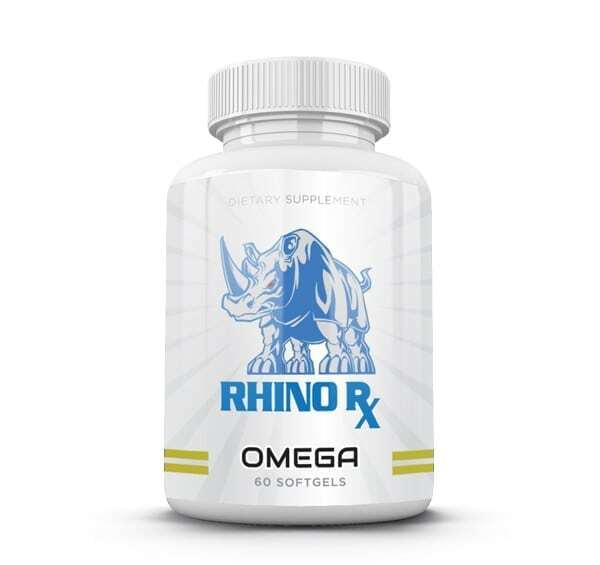 Because our modern diet is loaded with omega 6 & 9 (meat and vegetable oils) it is important to supplement with extra Omega3, rich in EPA and DHA content. 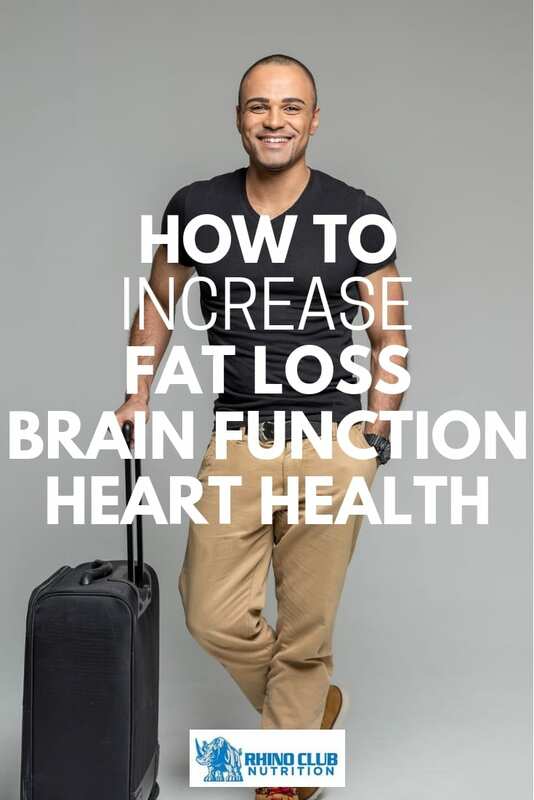 Omega3’s are an important nutrient for maintaining a healthy brain and nervous system. EFAs also contribute to healthy heart function and joint flexibility as well as supporting brain, nerve, and visual function. 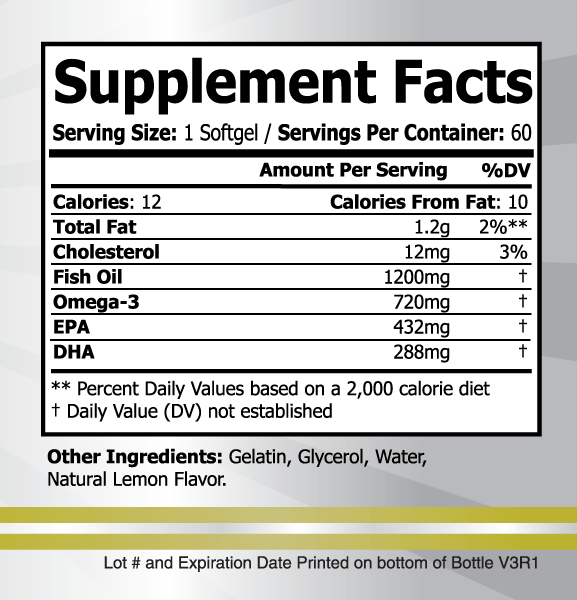 Omega3 is tested to make sure it is free from harmful levels of contaminants. As a dietary supplement, take one (1) softgel, 2 – 3 times daily with meals. 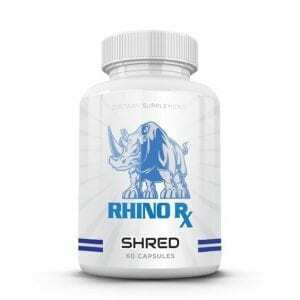 Omegas are a must use supplement and Rhino Rx is the best there is! Benefits: Anti-inflammatory, Helps Regulate High Blood Pressure, Immunity Booster, Improves Memory Function, Laboratory Tested for Quality, Laboratory Tested Purity, Micronized for Fast Absorption, No Sodium or Sugar, Promotes Digestive Health, Regulates Metabolism and Weight Management. 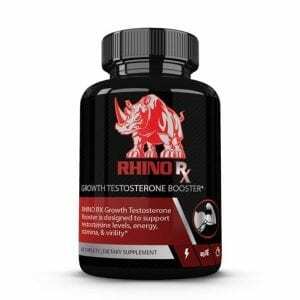 Benefits: Aids Testosterone Production, Better Athletic Results, Increase Muscle Mass.